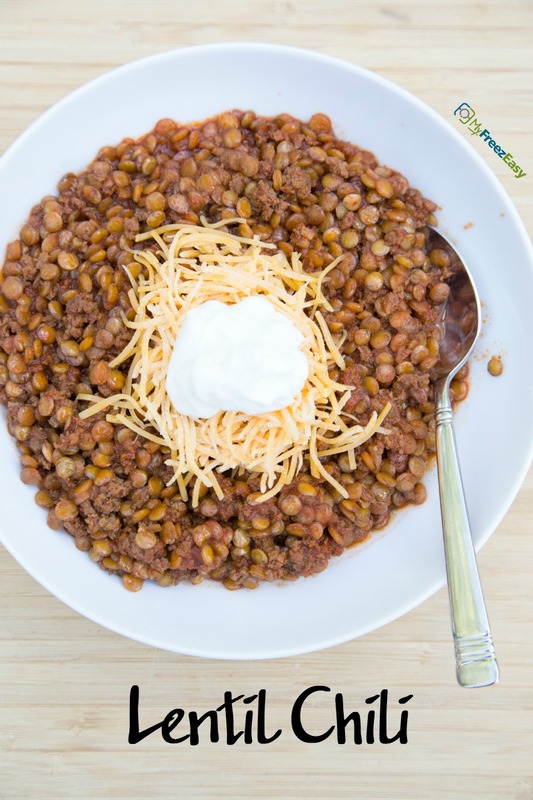 This bowl of lentils is super comforting and super tasty! Stir in the tomato sauce, dry lentils, beef broth and chili powder. Bring to bubbling, reduce heat and cover. Let cook for 20 minutes, or until lentils have softened. Stir through 2-3 times while lentils are cooking. Season with salt and pepper to taste. 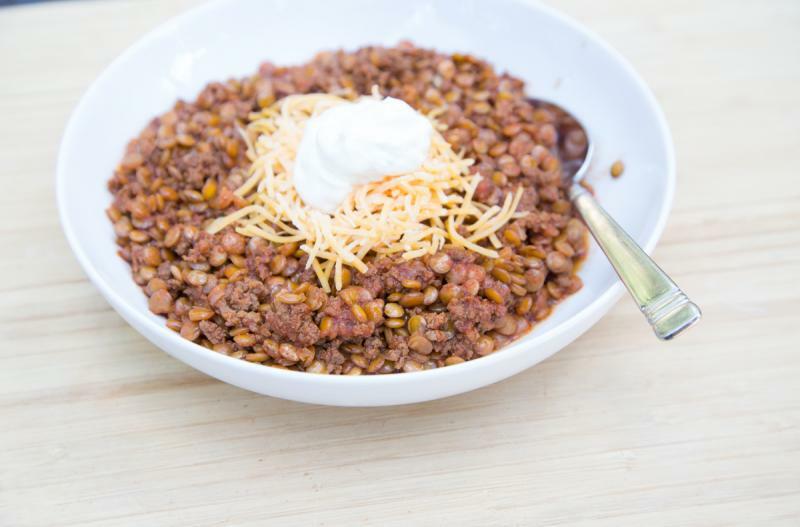 Serve Lentil Chili with sour cream and shredded cheese garnish, and salad. Brown 2 lbs. ground beef, 2 Tbsp minced onion and 2 tsp garlic powder. Drain and let cool. Put baggie in the freezer and freeze up to 6 months in fridge freezer or 12 months in a deep freezer. Thaw in the fridge overnight, or a warm bowl of water for about 20 minutes, before transferring to a saucepan and cooking over medium heat, or until lentils are cooked through. Omit the cheese and sour cream garnishes for dairy-free meal. Thaw and reheat in saucepan over medium heat for 20 minutes, or until lentils are cooked through. Serve with sour cream and shredded cheese garnish, and salad.